While there is no “right” or “best” way to approach a project, it can be helpful to peek inside others’ processes. You’ll find new ideas, get a realistic view of how long and how much work it might take. It helps to demystify the process. To see that writing a screenplay isn’t some kind of voodoo magic trick; it’s a craft, and a practice, and it’s something you can do, too. But a little progress is better than none. On those frustrating days when I’ve been stuck on a project, finding the next tiny way to make progress has saved me every time. There are a bunch of steps in between “idea” and “screenplay.” And it’s not a linear process. 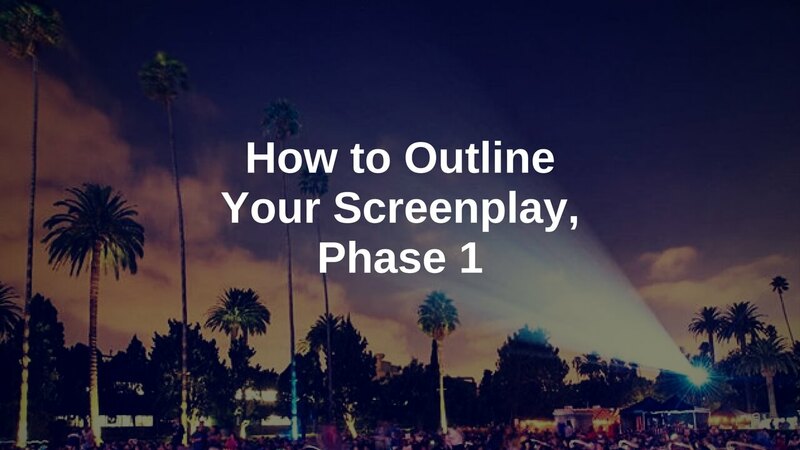 Writing a solid draft of your screenplay usually requires several passes or layers. That’s true of outlining, too. A lot of writers try to outline their screenplays in one sitting. Maybe because it’s not “real writing,” so it seems like something that can easily be checked off the To Do list. But, honestly, that’s a lot of pressure. Instead, why not give yourself some breathing room? Go stress-free. Write your screenplay outline in manageable increments. Here’s one way to do it. If you followed along last week, you already have some raw story materials to work with. You might have a brain dump document, the 9 questions answered, or a logline formed. Any of these jumping off points is a great start simply because you’re not working with a blank page. Beginning with pretty much anything but a blank page is, to me, always easier than starting from scratch. When you have something there to begin with, the next steps are filling in the blanks, answering prompts. Way less intimidating than expecting yourself to spin brilliance out of thin air. If you haven’t already, fill out the 9 Screenplay Jump Start questions. That’s your story’s foundation and an easy but productive way to start forming your story. And if you don’t yet have the Screenplay Jump Start pdf, sign up to the Write + Co. mailing list and you’ll receive it and other helpful tools for screenwriters. Start organizing what you know so far into three acts. Keep the pressure off by using an easy, informal-feeling medium. Try using three — or four, if you like to divide the 2nd act into halves — pieces of notebook paper to do this. Nothing has to be set in stone. Simply note what you know or think you know. Or know you need to know eventually. Then, look for ideas to fill any gaps you’re seeing in the rough outline. What kinds of additional ideas should you look for? To get you started, here’s a list of questions your story may need to answer. If you did a brain dump (as suggested last week), you can scan through that document with these questions in mind, looking for things to add to your new Phase 1 Outline. If you didn’t do a brain dump, you can use the questions below to brainstorm new ideas. There’s some overlap with the 9 questions we’ve already mentioned, but don’t let that throw you. Brainstorm additional details, or move onto the next question; it’s up to you. This phase is still about discovering story, and there’s plenty to mine. So just start digging wherever it seems promising. What is the main character’s world view / belief system? What’s stopping the protagonist from attaining the story goal? What kind of action are we seeing in pursuit of the story goal? What are some possible subgoals or milestones to the main story goal? How does the action challenge the protagonist’s old world view / belief system? How is the action different, new, or more intense in the 2nd half of Act 2? In order to achieve the goal once and for all, who does the main character battle, and generally what happens? Are there any secondary opponents to defeat first? What must the main character do to prepare for the final battle? How does the final battle make the main character confront his or her greatest fear? What’s the visual barometer of success (if the character succeeds)? Survey a thousand screenwriters and you’ll get a thousand different ways to approach a writing project. You have to find what works for you. This process is one I like because it’s a way of pushing story development forward quickly without getting overwhelmed by the process. If you’re struggling — either to get started or to keep going — the smaller and more manageable you can make each next step, the more likely you’ll be to do it. 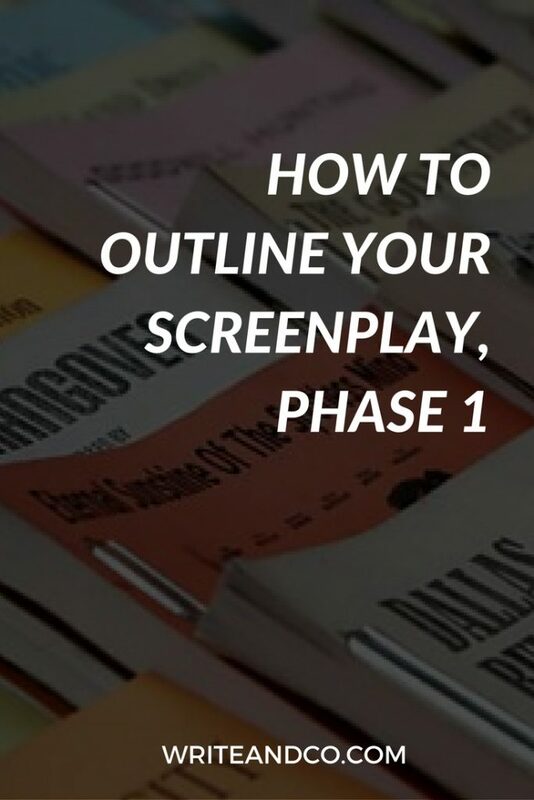 With Phase 1 complete, you can continue to brainstorm to fill in gaps, chart out character arcs, relationships, or subplots, start organizing what you have into sequences, move to notecards, or whatever feels like the next logical (and doable) step for your story.